The christmas and new year crowds have dispersed but the fishing has remained consistent. 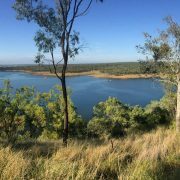 Both dams in the South Burnett are fishing well despite the low water levels. 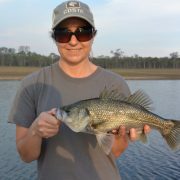 Boondooma is producing some big quality bass and golden perch. BP is producing big numbers of fish of varying species. If you’re thinking of coming for a fish it’s hard to go wrong if you follow the below report. 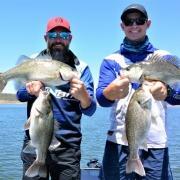 The South Burnett is the place to be for some fantastic freshwater fishing. The dam is beautiful early of a morning and there’s plenty of wildlife to enjoy. 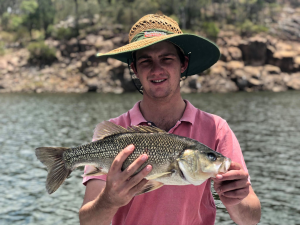 With the summer bite patterns continuing, it makes for some exciting fishing on Lake Boondooma, particularly later in the afternoons as the water temps really warm up. Lately the trend has been to fish the timbers of the Boyne or Stuart arm early with 5/8 Bassman spinnerbaits or lipless cranks in the morning. During the afternoon target the deeper sections of the dam up near the dam wall and rocky edges with ½ ounce rigged Eco gear power shads or Norries Wasabi Spoons or Spinnerbaits. If I’m fishing Boondooma during the summer months, I’ll first start in the timber early of a morning as the fish are in amongst the trees looking for an easy meal from passing Bonies. In the arms the fish are holding very close to structure and you’ll need to get your lures in as close as you can to get a bite. Look for spindly timber, trust me there’s a lot of it. Lures of choice for this scenario are, 5/8 or 3/8 Bassman Spinner baits and any sinking lipless Crank bait. Give your lure up to 5 seconds to sink down to 10 – 15 feet and start a slow wind. It’s important to make sure that you have a lure retriever with you as you will get snagged on the trees occasionally but if you’re getting snagged you know you’re in the thick of it. Keep moving from tree to tree or structure to structure and persist as your lure WILL be eaten eventually by a hungry fish. 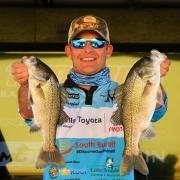 Above: – Matthew Langford with a Monster Bass from Boondooma caught on a spoon. 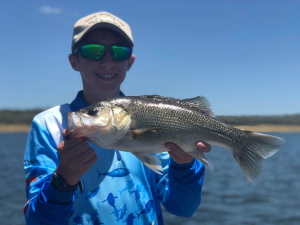 Trollers are picking up some great bass and yellow belly trolling around the deeper sections of the dam, targeting those suspended fish. Make sure to have plenty of deep divers handy, lures that dive 15 to 20 feet will be the ones that get you onto consistent fish. Red claw numbers are also starting to pick up with some real big ones amongst them, so make sure your pack the opera houses if you’re coming out for a day or two. 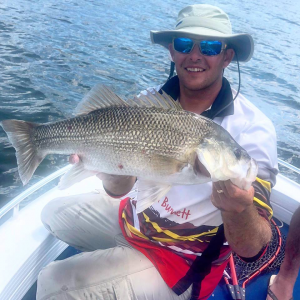 If your keen on trolling then I can suggest trolling lightly weighted spinnerbaits, 3/8 blades or any deep diving hard body from boat ramp to boat ramp. Early in the day, I’ve been casting soft plastics with a lot of success out in the open water of the dam. The bait is thick and high in the water column, so the bass are sitting below them and coming up to feed. I’ll use a ½ ounce jig head with a 3” soft plastic and cast over the open water. I’ll let it sink 3 seconds then begin a reasonably fast wind. The bass will tap at the lure so its important to remain patient and not strike until the fish has a firm grasp on the lure. This has been our most successful method of fishing of late. When the suns higher in the sky I’ve found that the bass move out onto the deeper flats. Long casts, letting the plastic sink to the bottom and using a burn and kill retrieve was the key to getting the fish to hit the lure hard. This nice bass came unstuck when we were fishing open water. 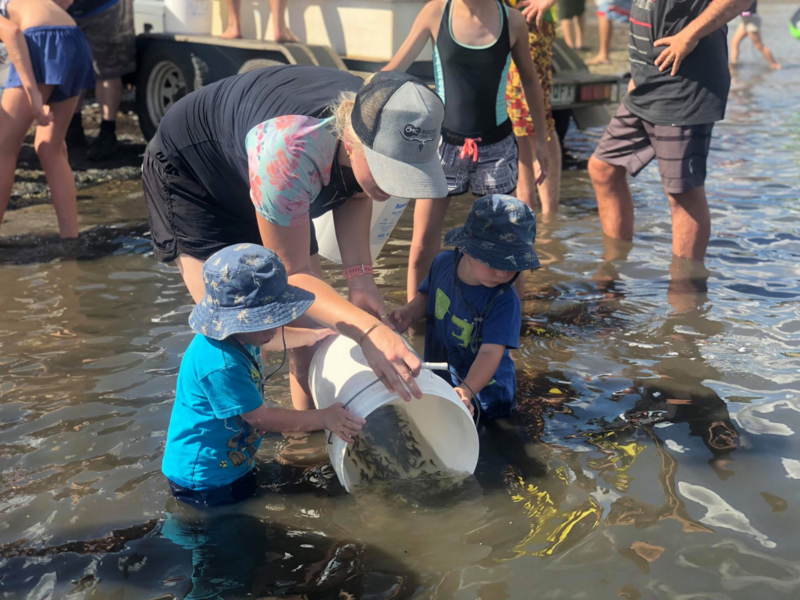 The fish stocking for both dams is still very much alive and well with another massive stock of Yellowbelly put into Bjelke-Petersen dam this past weekend. 56 000 Yellowbelly were released into BP dam, so it’s a great boost for fishing in the South Burnett. It’s great to see our stocking associations working hard to make this happen because without them we don’t get to catch the fish that we really love chasing. Until next month, tight lines and bent rods. 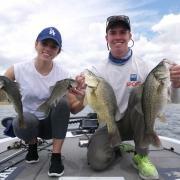 https://www.discoversouthburnett.com.au/wp-content/uploads/2019/01/Jan19-fishing-report-4.png 1536 2048 Stacey Perrett https://www.discoversouthburnett.com.au/wp-content/uploads/2018/01/Discover-South-Burnett-RESIZE-300x185.png Stacey Perrett2019-01-31 09:44:262019-01-31 09:45:35Summer fishing at it’s best in the South Burnett! 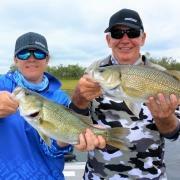 Winter fishing patterns begin in the South Burnett. 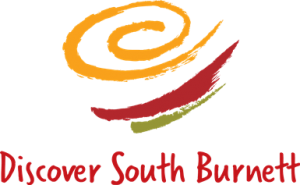 Red Hot bite in the South Burnett! 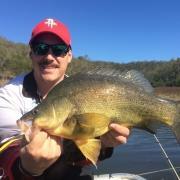 Freshwater fishing a big hit in the South Burnett. 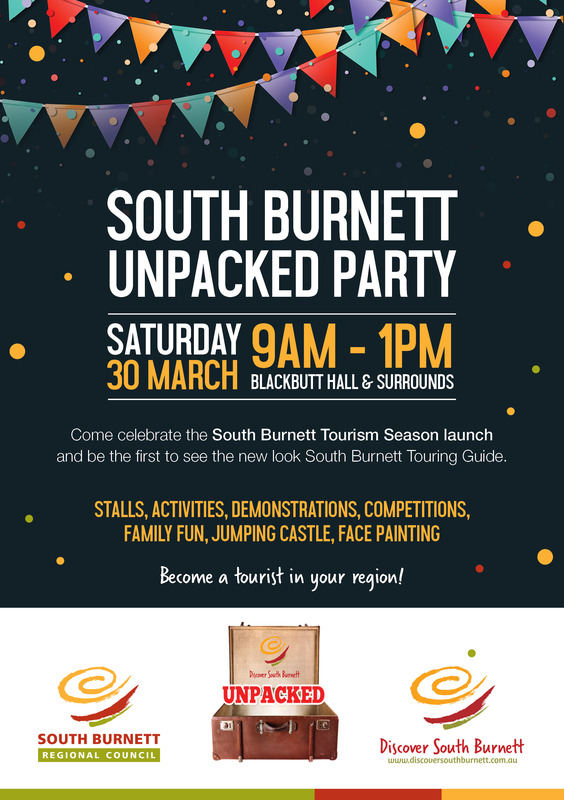 The South Burnett sees some much-needed water flow!